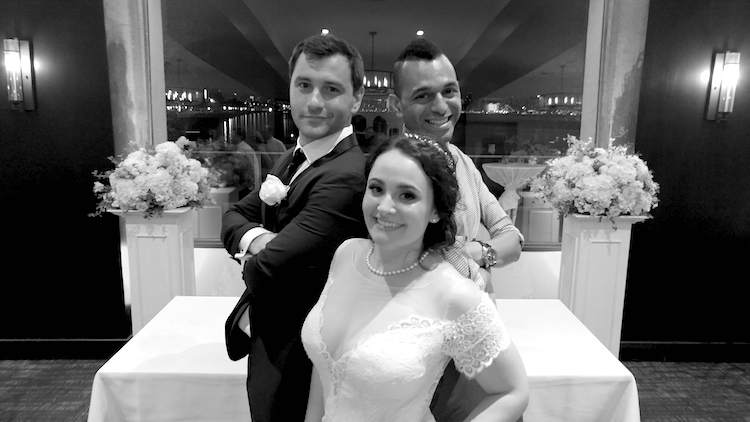 Newlyweds, Paul and Desiree, had their dream wedding this past weekend! 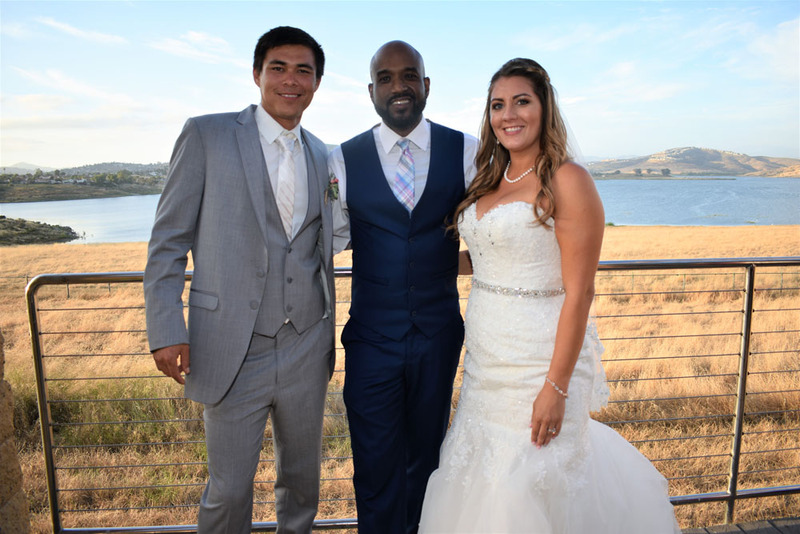 Family and friends gathered at the Sweetwater Summit Reservoir to celebrate with the couple! 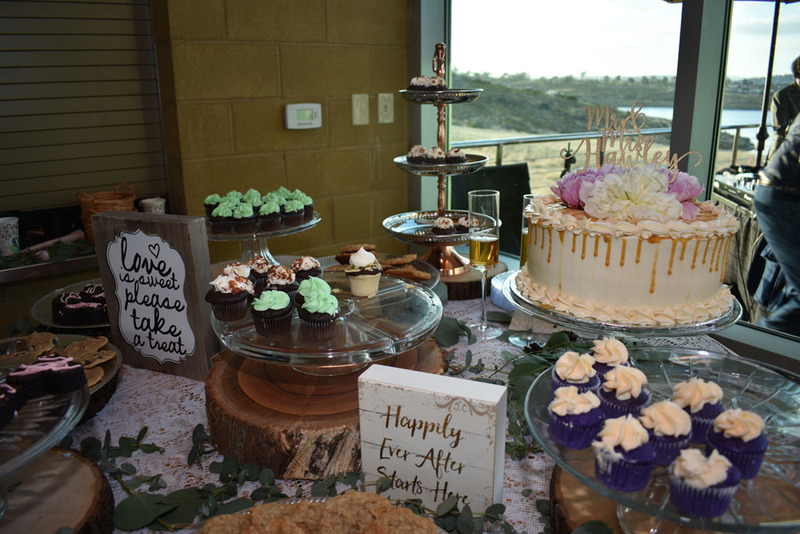 The dessert table featured a variety of treats for all to enjoy! 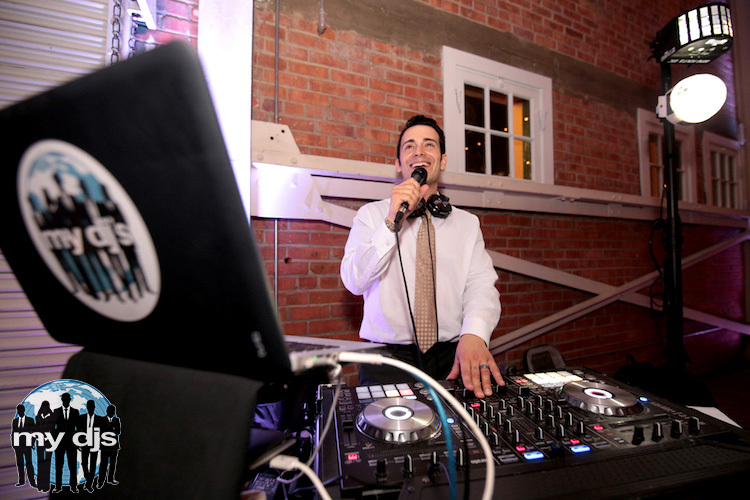 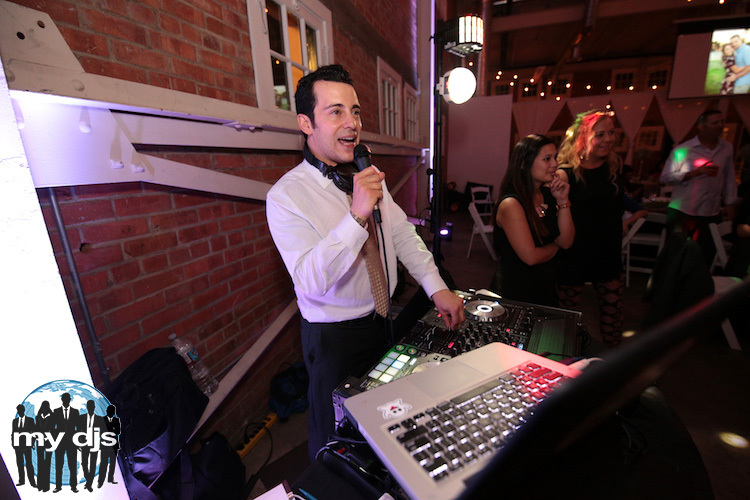 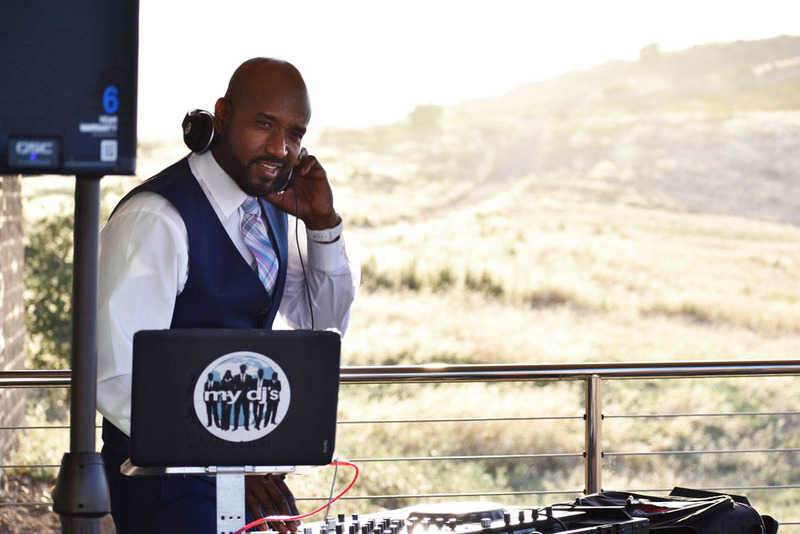 San Diego wedding DJ, Earl Henry, was on the scene to rock the party! 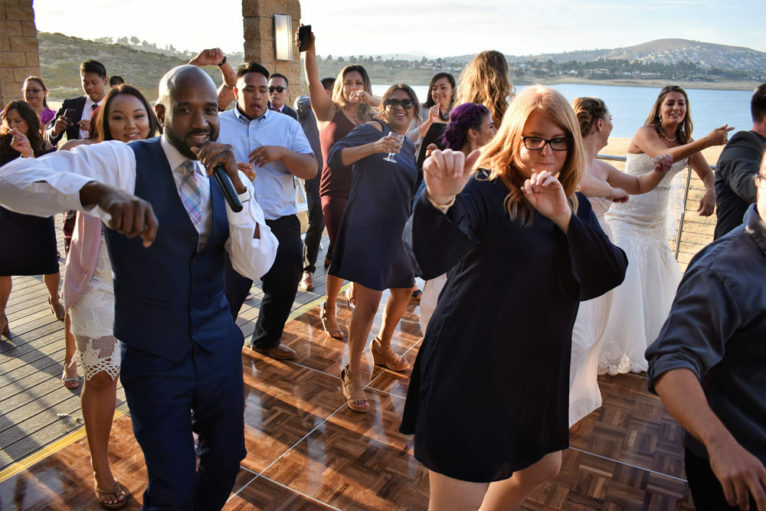 Paul and Desiree couldn’t thank DJ Earl enough for making their day so special! 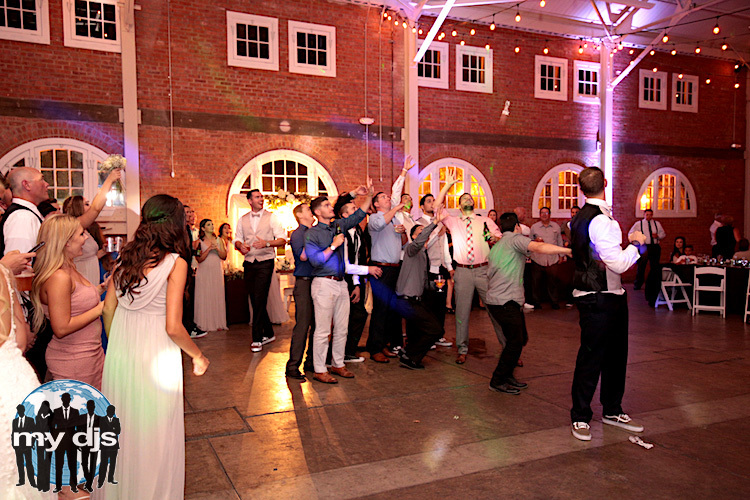 Victoria just tossed her bouquet and now it’s Jake’s turn to throw the garter. 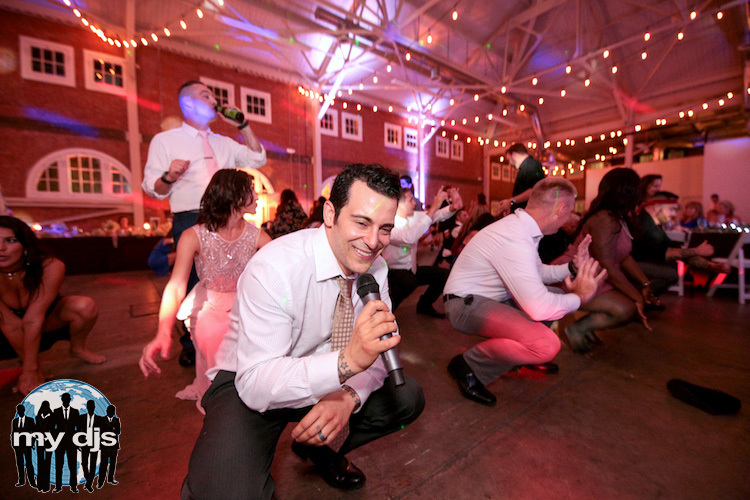 P Diddy’s “Bad Boys” fills the air as the fellas go up for the catch. 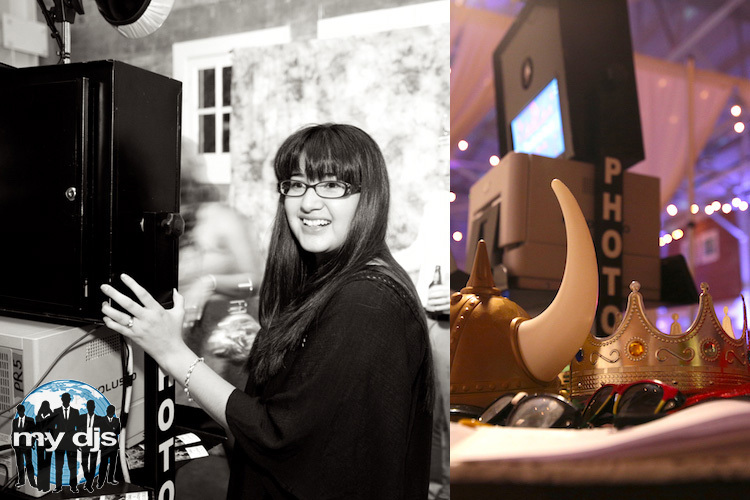 Over at the Photo Booth, Marie helps guest pick out the perfect props for super fun and instant print-outs! 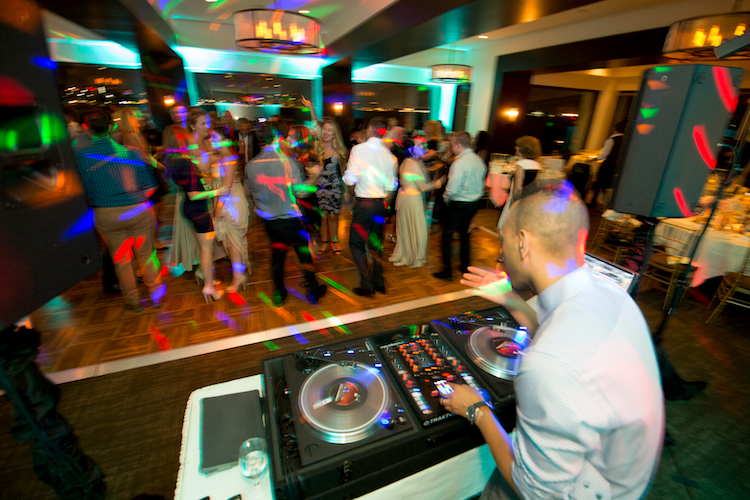 Back on the dance floor friends and family are having a blast getting low with DJ Danny. 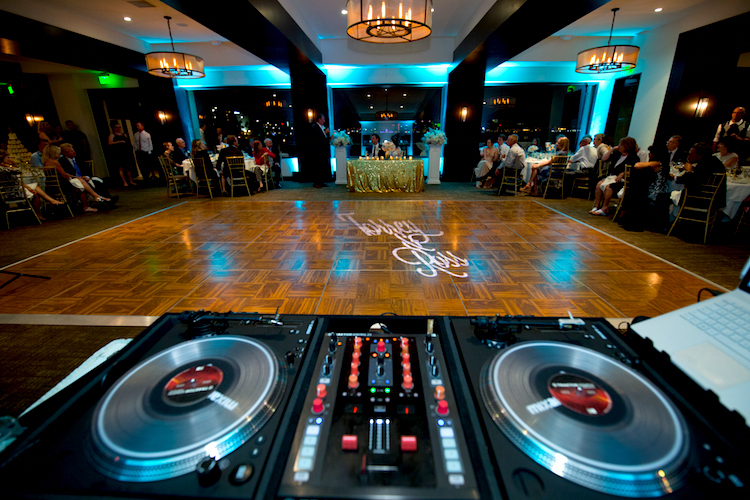 A hot mix of Hip & Hop and R&B keeps the dance floor moving for an unforgettable evening! 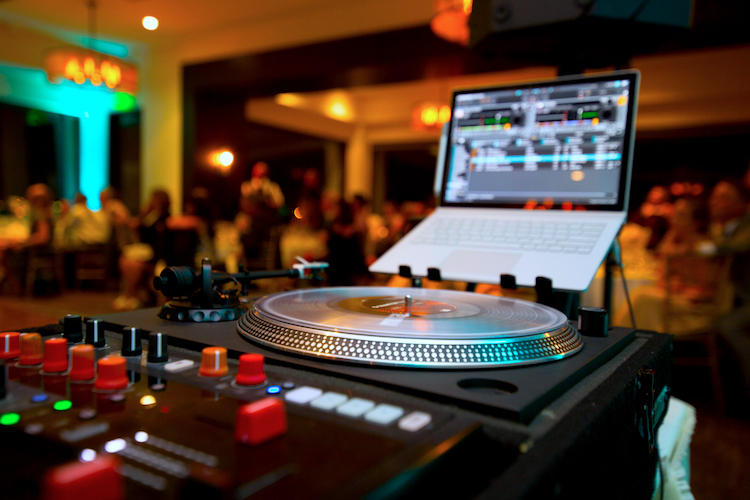 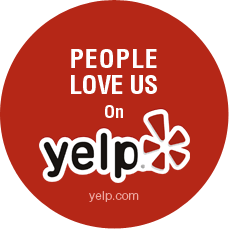 Services: Gold Package: Professional DJ and MC, Professional Sound for Ceremony and Reception, 8 Uplights, Monogram, Party Light Tree, and Photo Booth. 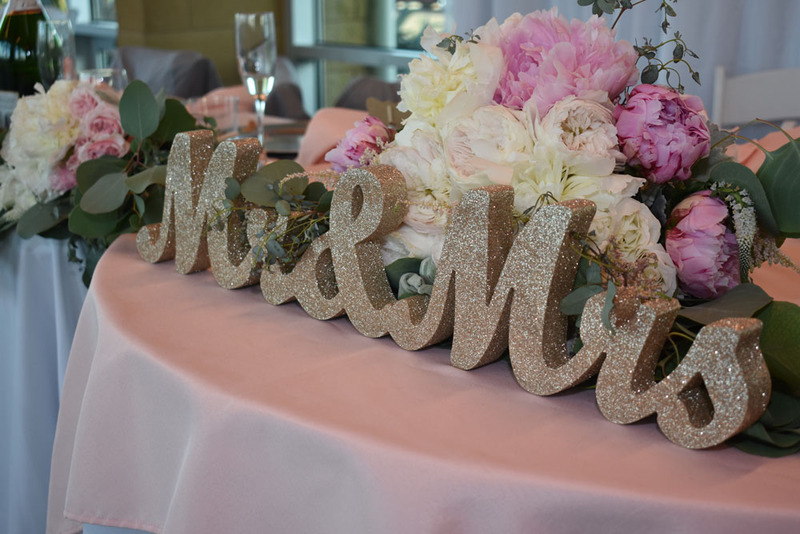 Tom Ham’s California Room is beautifully decorated with Torrey and Ross’s Gold Package complete with uplights and a custom monogram. 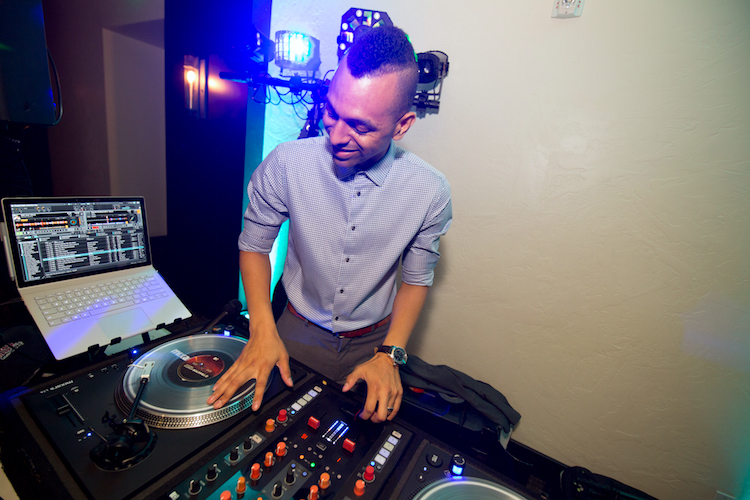 DJ Deondre mixes up the couple’s playlist of 80’s, Top 40, Hip-Hop, and R&B on his super cool turntables! 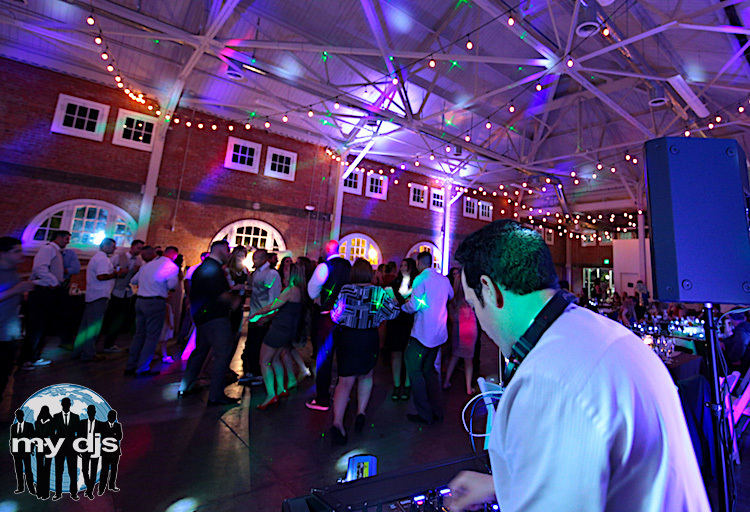 The dance floor gets hotter and hotter as the night goes on and family and friends rock out under the colorful party lights. 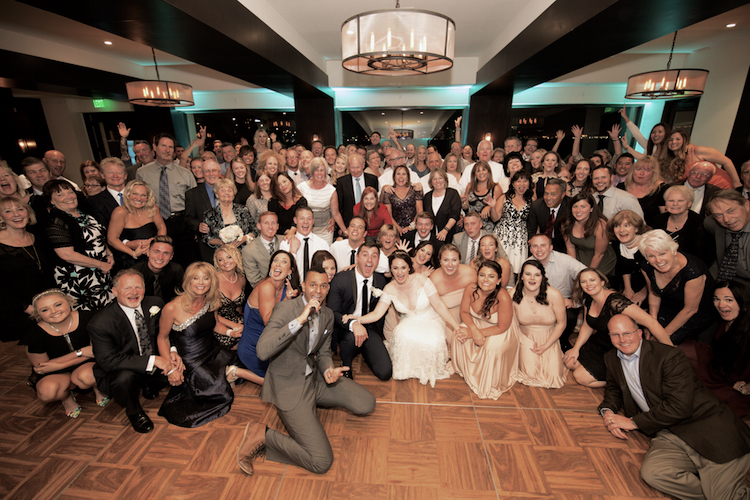 It was a wedding to remember, Ross, Torrey, and all of their guests join in for an amazing photo to last a lifetime.